for $2,000,000. 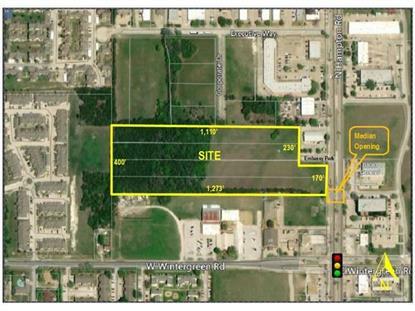 The lot size is 10.990 Acres. This is a commercial campus site in northern DeSoto. It is comprised of 4 platted but contiguous sites. It has frontage on Hampton Road, Embassy Park, and Corporate Drive. Hampton has about 30, 000 cars per day, and a median opening is present to serve the site. It is level with trees in the back, and no creeks or flood. Part is zoned GR, part PD for business uses. Ideal for anything campus related such as storage, charter school, flex, church, etc..